Winter is in full swing and the travel season is ramping up. Whether you are headed to warmer climes or off to a high mountain resort for some skiing or snowboarding, getting in some post holiday relaxation and fun is no excuse to neglect your complexion. 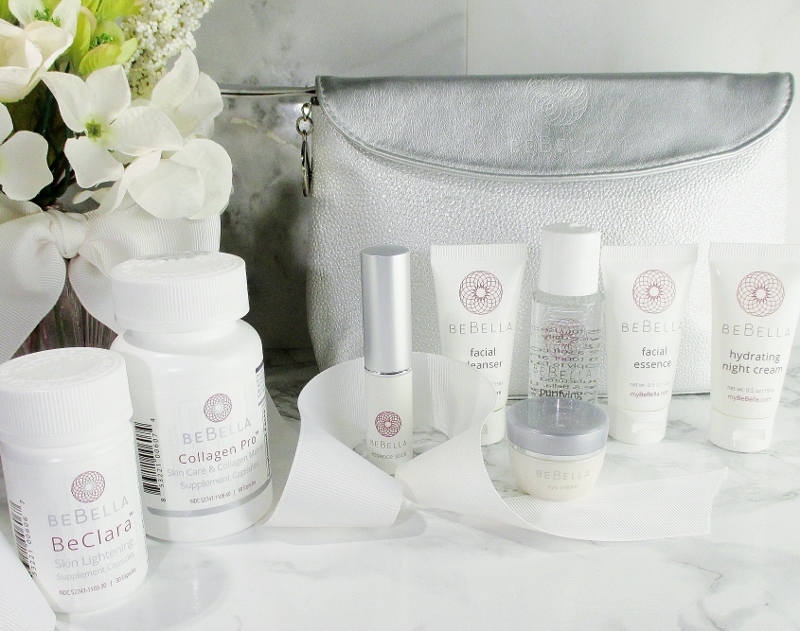 Take beautiful skin care on the go with BeBe & Bella Probiotic Essentials Starter Kit. Whether I'm staying home or taking off, one thing I dare not do is neglect my skin. My maturing, Sahara Desert dry skin requires gentle cleansing and layers of treatment and hydration to feel and look the very, healthy best it possibly can. I like to follow a multi step, Japanese style skin care regimen to give my complexion the very best, nurturing care. Happily, I was recently introduced to BeBe & Bella Skin Care. This innovative, multi step skin care line was created to address our every complexion concern, from the inside out. Combining supplements to boost the nutrition that is crucial to healthy, beautiful skin and products that include ground breaking topical ingredients like Pro Biotics and Hyaluronic Acid, this skin care hydrates, targets fine lines and wrinkles, reduces inflammation and fades age spots. 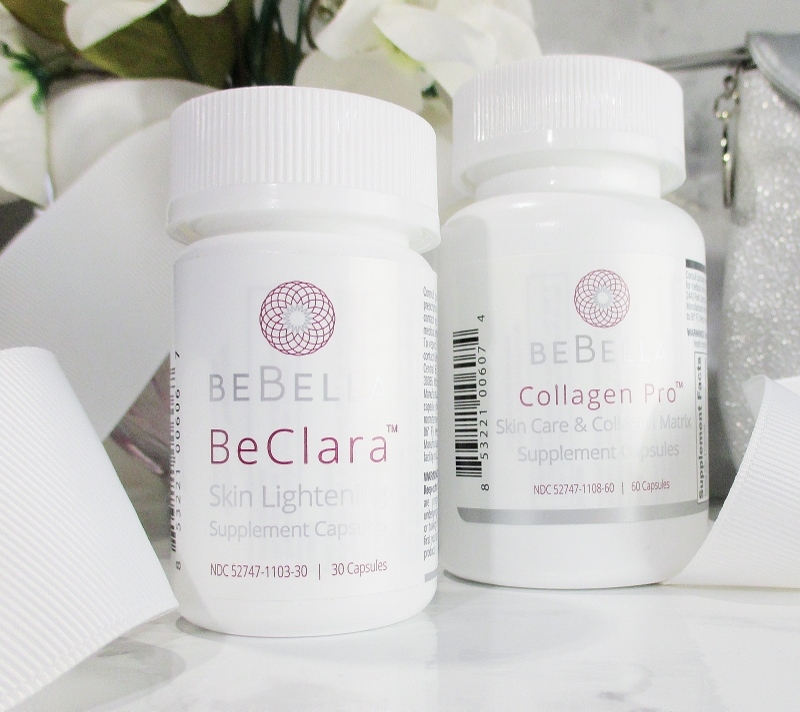 Today, I am sharing the basics found in the Probiotic Essentials Starter Kit, the Probiotic Facial Essence Stick and Collagen Pro and BeClara Skin Lightening supplements. Shall we take a look? Multi step skin care routines don't necessarily have to be time consuming. In fact, start to finish, I can run through this routine in just a few minutes. I begin with the Probiotic Facial Cleanser. A pearl sized drop is all that I need to cleanse away the day, including impurities, makeup and anything else my skin picks up. I didn't pay attention to the fine print before I used this cleanser for the first time and I squeezed out of the tube what I thought was a proper amount and it was far too much. Now, I use just a tiny dollop and whether I am cleansing with my hands or a sonic facial cleansing device, my skin is completely clean yet it feels soft and comfortable. My eyes are crazy sensitive so I don't cleanse off eye makeup with this cleanser. Probiotic Facial Toner. After cleansing, I squeeze a little out on a facial cotton square and sweep it across my face. Yes, you read that right. I, who am just about the most resistant person, ever to toner is now a regular user of the stuff. Imagine that. And I like this one because it leaves my skin feeling sparkling fresh and never tight or stripped. Probiotic Facial Essence is a water based, slippy clear gel that drops right into my skin, delivering Hyaluronic Acid and Ferment Filtrate that can increase my skin's natural flora defenses which helps to reduce moisture loss. My skin is instantly lightly hydrated, velvety soft and free of any residual tack or oily feel. To say that I love this stuff is an understatement. I am getting more and more into essences and concentrates and I'm so happy to have this one in my arsenal. Probiotic Eye Cream is a rich formula containing two Probiotic Ferment Filtrates and Vitamin E that smooths into the delicate skin of my eye area to instantly, deeply hydrate, plump and smooth the appearance of fine lines. And at my age, I can use all the plumping (of my skin) and reduction of the appearance of fine lines that I can get! Probiotic Night Cream. Yes. Yes! Yes!!!! To be perfectly honest, upon first inspection, I was skeptical that this cream would work for my complexion. I was prepared to do my usual 24 Hour Moisturizer Test and for a day of tight, unhappy skin. I smoothed this night cream onto my face, patted it in and started the clock. You guys. This cream is amazing! Just after it went on, my skin felt so soft, plumped and moisturized. Twenty-four hours later, my skin still hadn't lost that loving feeling and the cream passed the test with flying colours. All of these products are unscented and don't cause my skin or my eyes any irritation. I do feel a little bit of... Warmth? A sensation that something is happening, if you will. It isn't unpleasant or uncomfortable but I would suggest that if you are very sensitive that you test before going in, all the way. Don't forget to apply your favorite sunscreen during the day, as none of these products offer SPF. I couldn't wait to try the Probiotic Facial Essence Stick. Encased in a slender, lipstick sized tube is a silky white stick that combines the Essence formula with Lifting Lipid Polymers for a perfect, on the go refresh. Apply it to the under eye area to reduce puffiness, use it to smooth the appearance of lines. It can be patted lightly in over makeup to refresh and smooth without smudging or leaving a greasy residue. This stick is going into my makeup bag, for sure! 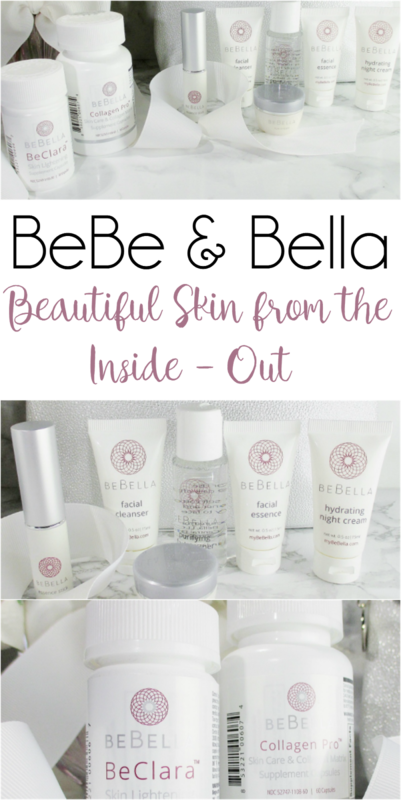 Beautiful skin starts from the inside and BeBe & Bella have you covered. Collagen Pro is a radically different formula. Containing a powerful blend of Hydrolyzed Fish Collagen Peptide, Hyaluronic Acid, Probiotic Lactobacillus Casei, Biotin as well as skin enhancing vitamins, this supplement was created to healthy, hydrated skin. Be Clara is a revolutionary skin lightening and brightening supplement. Containing Lactobacillus Casei. Glutathione-Reduced, NAC, ALA and Vitamin C (one of my skin's power ingredients) and Collagen, Be Clara can provide antioxidant and nutritional support that we can all use to feel and look our beautiful best. Bottom line: Do these product work? Honestly, I don't know, yet. I have not been using them long enough to appreciate any real, physical results tho, call me crazy but I think I can feel some firming happening along the tops of my cheekbones and maybe my jawline? I can say that in the time I have been using BeBe & Bella my complexion feels wonderful. The cleanser and toner get my skin sparkling clean without leaving it feeling stripped or tight. The essence is fast becoming a favorite, I don't think I want to live without it product, the night cream is deeply hydrating and my skin just drinks it up and feels so nourished and comfortable. High praise, coming from my insanely dry skin! The eye cream is so rich and hydrating, I like it for sealing in my treatment mode Retinol eye cream and provide even more hydration while I'm sleeping. The Essence Stick... Yeah. I am so happy to support this unique, woman owned skin care line. If you are on the lookout for some incredible skin care, I can heartily recommend that you check this line out. If you decide that you need to try BeBe & Bella Skin Care for yourself, I have a very special PRIMP Perk for you! Enter the code, PRIMP20 to save money. There is no expiration date for this code. 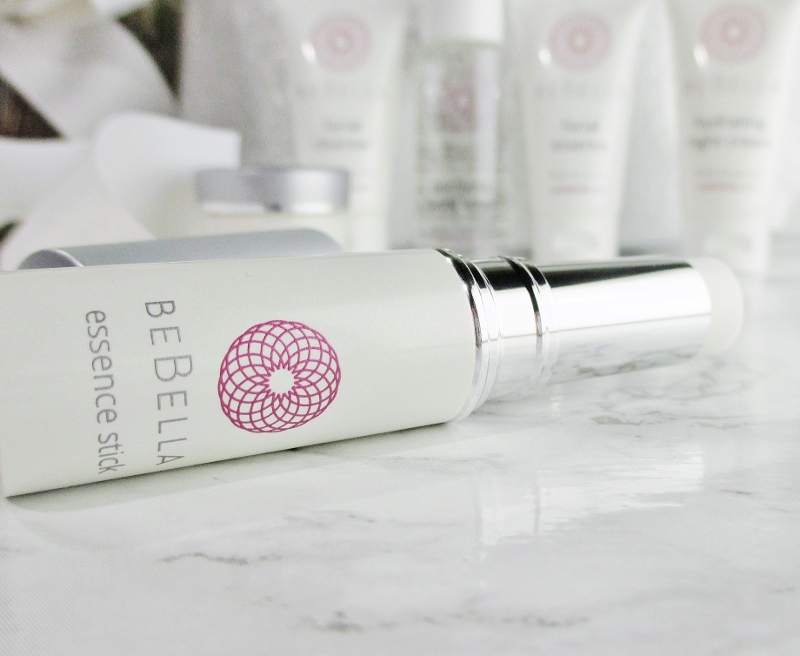 If you would like to know more about BeBe & Bella and the incredible women who created this line, read their story here and get more information on the probiotic difference for beautiful skin, starting from the inside, out. Visit BeBe & Bella on Facebook. Follow on Twitter and Instagram. I will be curious to hear what you think after you have used it longer. I have wondered about the efficacy of probiotics being used topically as part of a skincare routine. Such a great post! I am absolutely obsessed with this skincare line. It's sooooo good! Your pictures are PHENEOMAL! They look and sound like nice skincare products. I love starter kits for skin care! This one looks great! It sounds like an amazing line! I'm a big believer in probiotics. And I love the silvery travel pouch that it comes in. This is a fabulous line! I personally love the Essence Stick the most! This line looks really great. I think that Essence Stick is definitely worth looking into! This sounds wonderful and it's even better that it's fragrance free. You know I was searching for that in your review and was thrilled when you mentioned it. The Essence Stick sounds like I could absolutely use. Probiotic Facial Essence Stick sounds nice! This was so good! I love skincare and the brand has helped my skin improve a lot! I also LOVE your pictures! I have been really interested in trying this brand. I love the idea of the supplement in addition to the products.